A great neck cooler for the survivor of cancer. The background has a very light pink, with dark pink ribbons. The advance of medicine continues to bring hope to those who were diagnosed with cancer. 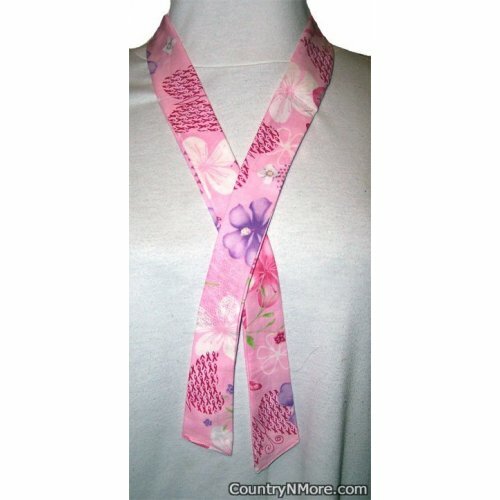 Wear the pink ribbon of hope around your neck. Perfect for Breast Cancer Fund raisers. This neck cooler is made in honor of my sister who lost her fight to Inflammatory breast cancer at the young age of 42, and left behind a husband and 3 kids.